Thank you for visiting Write Way Designs! We are a communications and design company based in Florida, USA, that offers technical, creative, and editorial solutions for specialized business and consumer needs. For feedback on our services, click this link or scroll down for Testimonials below! Creating content strategy, or building a website, manual, newsletter, training, or report requires planning and organization to be successful. Write Way Designs will help you with each step of the process. Contact Susana Rosende, President of Write Way Designs, by calling 1-407-670-9554 or sending an email to susana@writewaydesigns.com to discuss your project and goals. Together, we can determine a budget and create a project outline, storyboard, or framework and schedule to meet your needs. The next most important step once you have decided to hire Write Way Designs is to gather and organize your content. Who is your target audience or end-user reader? What information do you want to present? Write Way Designs can assist with organizing your content, writing, editing, proofeading, translation, and design. If you are designing or re-designing a website, newsletter, or presentation, we can help you keep the content fresh and the design and images visually appealing. If you have hired Write Way Designs, we have decided on the structure, content, layout, and design for your project, whether it is a website, report, manual, newsletter, PowerPoint presentation, or resume. At the Development stage, Write Way Designs writers and designers add the content and images to the layout, while keeping in constant, daily communication to update you on the status, and giving you up-to-the-minute presentations for your review. During the development, testing, and review process, we will make requested changes and updates to your project in partnership with you and your team. Write Way Designs will work with you to guarantee high quality results and will keep making changes until you are satisfied. Our Resume Writing services even come with a guarantee: No interviews in 30 days, and we re-write for free! If we are designing a website, Write Way Designs offers options for purchasing a domain name and hosting services. If we are assisting with resume writing, our Certified Professional Resume Writers (CPRW) and Interview Coaches will advise on where to post your resume and online professional presence, including offering makeover profiles for your Linkedin.com account. Keeping content up-to-date is critical for your resume, website, manuals, newsletter, training, tutorials, or reports, and adding new and fresh online content will keep your audience (and search engines) coming back for more. Write Way Designs can also assist you with keeping your domain registration current. In our Marketing Communications department, our Marketing Communications Experts, Copywriters, Editors, and E-Business Analysts minimally hold Bachelors Degrees in Marketing, Communications, Business or a similar degree. Our Marketing Director holds a Masters in Integrated Marketing Communications from Florida State University (FSU) in Tallahassee, Florida, USA. Whether your copywriting project requires website content, brochures, email, or direct mail pieces, we can turn your ideas or current content into clear, web-friendly copy with a focus on increasing reader engagement, loyalty, and satisfaction. We are not only Writers, but Digital Marketing Solutions Providers, Website Copy and Marketing Communications Writers, and Strategic Marketing Copywriters who realize that the cost of creating, storing, and publishing content must be sustainable. If you need the power of the written word for specialized messaging, Write Way Designs Writers are The Word People! 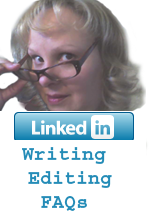 See Copywriting and Editing and Technical Writing. In our Technical Communication (Tech Com) Department, our Senior Staff, Staff, and Senior-level Technical Writers and Technical Editors hold Secret Security Clearances for the DoD/Aerospace industries, and minimally hold Bachelors degrees in English, Technical Writing, Communications, Journalism, or a similar degree. Our Tech Com Director holds a BA in English with a focus in Technical Communication from the University of Central Florida (UCF) in Orlando, FL, USA. Conceptual thinkers and versatile in developing high-impact, results-driven communications. Effectively lead and manage communications projects from inception to completion, ensuring a timely delivery of quality, customer-focused communications. Translate communications strategy into appropriate messaging and formats. Easily understand technical aspects of firm initiatives and products and services to create clear, accurate explanations. Excel in financial service writing and editing skills, with deep understanding of communications strategy and broad exposure to multiple types of deliverables. Highly flexible and comfortable working with multiple projects, ambiguity, frequently changing timeframes, and tight deadlines. Autonomous self-starters with sound judgment regarding communications strategies and when to seek guidance and management support. Self-motivated with a desire to share in a collaborative team environments. For example, you're an Expert, now sound like one! Do you have an upcoming proposal that needs some help? We all know mistakes can be costly, especially in a first impression. We will make your proposals eye-catching, consistent, and error-free. Write Way Designs provides editing and desktop publishing services for proposals including RFPs, RFQs, and RFIs. See Technical Writing. How else can we help? Do you need a strong Resume Writer to help you land the job you desire (see Resume Writing)? 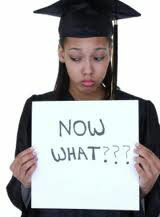 Contact our Certified Professional Resume Writers (CPRWs) today, and let us help you occupy a job! In this global economy, it helps to stay competitive. How about reaching international clients by translating your website, technical content, articles, or product descriptions from English to Spanish, French, or Mandarin Chinese? Our Technical Translators are native speakers with extensive experience in technical translation and interpretation. See Translation. Could you use the creative talents of our Creative Division's cartoonists, artists, poets, and graphic designers to tie your website logo to your brand identity, or to enhance your newsletter, children's book, fundraising t-shirts, and events? Or the creative services of our composers for your independent film, training video, film short, commercial, or video games, or for lyrics and melodies for your band, play, or musical? See Creative Services and Music (especially from our noteworthy lead composer Brian Christopher Lutz at brianlutzmusic.com). Last, but not least, under the leadership of Joe Gillotti (see Joe's Resume site at JoeGillotti.com) our IT Division offers back-end programming, website design, software engineering, system administration, site reliability, and even high quality video game server hosting for gamers at budget prices through our partner Gentlemen and Scholar Hosting at GSHost.us. Visit our Write Way Designs Gift Shops, with original designs by Susana Maria Rosende, for corporate, family, and holiday shopping at a browser near you! (Contact us at susana@writewaydesigns.com or 407-670-9554) for custom designs for t-shirts (for the whole family -- from infants to grandparents and the family dog! 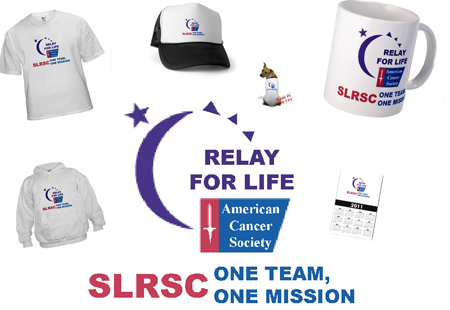 ), sweatshirts, Polo shirts, posters, greeting cards, mugs, and more for your fundraisers, corporate teams, and family events! Ooodles of Dooodles by Susana Rosende, on canvas, carpets, curtains, t-shirts, and more! Avon is Online - And Better than Ever with Susana Rosende! Write Way Designs provides all this and more! Please search our site for our full range of services. During your visit, if you cannot find what you need, please call 407.670.9554, and we'll be happy to assist you! *Like* and *Friend* us on Facebook! Is your resume the best it can be? Our Certified Professional Resume Writers (CPRW) at Write Way Designs are here to help! We offer a complimentary resume critique (a $150 value) to determine if your resume stands out. With more than 20 years of experience working with professionals, our resume writing service even comes with a guarantee: Interviews in 30 days, or we re-write for free. Contact us now for Recession Rates! Learn how here. Have you found a job by using a resume written by Write Way Designs? Let us know and receive a quick $10.00. and in the subject line write "Write Way Designs helped me get hired!" Tell us about your experience with your Resume written by Write Way Designs! 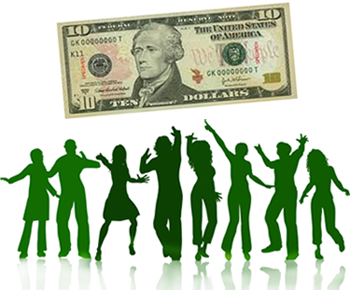 If we select your story and include it in our marketing material, you will receive $10.00 just for sharing your story. Donate Coffee to Receive a 10% Discount! Please select how much coffee to donate, and then click the empty coffee cup. It's a catch-22. You can't get a job without experience, but you can't get experience without a job. Consider an internship at Write Way Designs! Write Way Designs is hiring college students and recent graduates with majors or degrees in English, Journalism, Communications, Film, Graphic Design, Computer/Web Programming, and Software Engineering. Check out our Careers page for details! Write Way Designs is proud to promote The Arts and many charities and organizations by volunteering and participating in fundraising efforts. To include or promote your non-profit business, charity, or organization, or to commission a T-shirt design, such as the Relay for Life design posted below, contact us today at 407-670-9554 or susana@writewaydesigns.com. Thank you for Helping with Relay for Life! Thanks to all who participated and donated to the Write Way Designs Relay for Life Wine Tasting Extravaganza at Viera Wine Cellar in Viera, Florida on April 9th, 2011. Thanks also to those who participated and donated to the Patrick Air Force Base SLRSC One Team, One Mission Relay for Life 18-hour Fundraising event at the Cocoa Beach High School track in Cocoa Beach, Florida! Not only did we have fun, but we raised funds for the American Cancer Society! See our Charities page to learn how we did it and how much we raised! Write Way Designs will be held liable for increasing your company's revenue and productivity. "La calidad de la impresi�n en la camisa de la tienda de Write Way Designsfue muy buena con excelente servicio al cliente y la entrega fue puntual. Estoy muy agradecido del servicio, lo recomiendo. The print quality was very good for the T-shirts at the Write Way Designs Gift shopwith excellent customer service and delivery was timely. I am grateful for the service, I recommend." "Susana Rosende's training course, "Introduction to Technical Writing," breaks down 25 years of insider knowledge in the world of technical writing--how to be a reporter, an ambassador, an editor, and an artist, under a deadline-- into concise, easily digestible material, as a technical writer should. Whether fresh off the college farm or a seasoned wordsmith seeking to sharpen your skills, Susana Rosende's technical writing course is for you. Is it essential? Yes, absolutely." "Ms. Rosende's course, "Introduction to Technical Writing," enables non-native speakers as myself to enhance one's writing skills. I was able to quickly grasp the messages from her training and apply them to business writing in my own field. I recommend her course for anyone looking to communicate their ideas clearly through writing." "I think Susana's lessons in "Introduction to Technical Writing," are outstanding! My company is in China and I have many English-speaking clients. 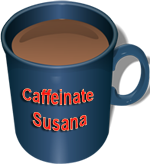 One of my clients recommended Susana's online training seminar to me. English is a very different language from Mandarin. Understanding the principles of professional writing in English was very illuminating. She is an excellent teacher and has many good tips for writing and for the business world in America. I think you shoud try this seminar!" "We always are happy to receive testimonials for our team, but we receive so many for Brian Lutz that we can't post them all! Brian has accepted varied assignments for different clients and industries throughout the years, sometimes simultaneously, as a technical writer, copywriter, content strategist, resume writer, technical editor, proposal writer, composer, song writer, and creative writer, both as an individual contributor and with the Write Way Designs team. As an example, Brian recently worked as a proposal writer for an engineering firm in the Department of Defense (DoD)/Aerospace industry while simultaneously taking on resume writing assignments and composing for a video game company on the weekends and evenings. He is one of the most talented and versatile consultants at Write Way Designs. Not only is Brian an accomplished musician and composer of film, film shorts, video, and video games, he is also a an extremely detailed and methodical technical writer and an outrageously creative writer who will paint you a Blue Sky in words. If you need someone who can think big and connect the dots between great story ideas and your online audience, look no further! Brian is not only highly creative, he has a strong grasp of English grammar with an encyclopedic knowledge of technology and technical writing tools. Brian's experience runs the gamut from creative writing, technical writing, editing, website authoring and e-commerce product descriptions to play and script writing, composing, and song writing. He can write ANYTHING and always does it well, no matter the genre, while remaining incredibly down-to-earth and humble. I highly recommend Brian for his talents, professionalism, flexibility, and genuine, likeable, and easy-going personality. Hire him! You'll be happy you did." "I strongly recommend Susana Rosende. She is very experienced in Technical Communications, is a C-Level Executive with her own company, and has proven to be a very impressive hard worker. She has a very amicable and soft personality but with a strong character and moral values. She could very well be, also, a Technical Communications Manager, Project Manager, Business Analyst, or even a Paralegal with mature experience. She is very good with computer applications and stays updated on latest technology of technical writing tools and graphic design technology, including Photoshop. Very good in Power Point presentation preparation. She loves Art and has a very good sense of color and proportions. She loves to make cartoons and pencil drawings. Very creative type of person, capable of producing Marketing materials and Instructional Documentation for technical and non-technical projects, including OSHA REQUIREMENTS documentation, which is also another of her experience that can be of help in qualification process. Susana is also very helpful in writing proposals, and I highly recommend for Grants Writer for Non Profits because of her knowledge of documentation, English and Spanish, high level of education, fundraising and graphic design experience in support of such documentation, and her dedication to charities and causes. I ask you to give her an opportunity for an interview in the Kendall/Miami/South Florida area or for remote position." "I found Susana Maria Rosende of Write Way Designs online to write my resume. I was impressed by her ability to ask specific questions about my work history for a clear and nicely-designed resume that showcased my professional experience. Susana is not only bilingual, but she has impeccable English grammar skills and content strategy. She is also a consummate professional, and works around your schedule by phone, email, and Skype.com. Best of all, Write Way Designs has reasonable pricing. I highly recommend Susana and Write Way Designs and would not hesitate to contact her and this company again. " "I whole-heartedly recommend Susana Maria Rosende of Write Way Designs to write or update resumes and cover letters as well as for her advice on job search strategy, interview preparation, and makeovers for your social media and online presence, especially your Linkedin.com professional profile. Susana also provides guidance on how to reach your career goals and how to make a good impression with your resume and during your interview. She follows up and mentors you and makes herself available for questions. Last, but not least, she is also bilingual and can assist and coach Spanish speakers to improve their English grammar. Brian Lutz is also an excellent certified resume writer and interview coach on her team. His wife, Jue Lutz is a brilliant marketing specialist who advises on how to leverage your social media and Linkedin online presence, too. I was fortunate to have them all for support. I cannot say enough good things about Write Way Designs. Write Way Designs is like a gift that keeps on giving. Their help was invaluable to me as an investment that will last long after they completed my resume and online profile. Write Way Designs can do the same for you!" "Thanks to Write Way Designs and Brian Lutz for my resume, and for your advice to post a profile and search for jobs on Linkedin.com. Everything you said was true, even dressing professionally for the interview, even though the workplace was business casual. Thank you also for the role playing questions to prepare for my interview! I can't believe they actually asked everything you said they would, even the question about weakneses and what I do for fun. Who would have thought those answers would matter? Thank you so much! I wouldn't have gotten the job without your help." "Brian Lutz is the best resume writer ever hired. Right on the money with changes to resume, against my better judgement, patient to explain the WHY of those changes. Turned out, writing and new design worked to get the job. Brian said, quit smoking for three days before the interview at "smoke-free company" so I don't smell like a chimney. Being unemployed for two years straight, wasn't taking chances. Brian's way got the job, saved my lungs! About time I kicked that habit. Thanks, Brian. You're the man!" "Thank you, Brian Lutz for the resume you wrote for me. The recession has been rough, and being unemployed for so long cost our family our home. After a while, you wonder if you'll ever get back on your feet. Assistance from a Certified Professional Resume Writer, who was kind enough to not only cut their price but accept a barter payment because of my family's hardship was not only invaluable, but gave me hope. Not many businesses out there are actually dedicated to helping humanity and not just making a buck. You people really care. I thank you, and my family thanks you. I'm actually getting interviews again. Thanks for keeping in touch and checking back. When I get my first paycheck, the first thing I'll do is write you a check. I'll never forget. And the oil change will be on the house. :)"
"Joe Gillotti has been a wonderful person to work with. He is easy to communicate with, and always ensures he understands an issue completely before giving input. In my time working with him, I have found Joe is happy to relate his extensive knowledge of Linux Systems and other technologies. I have learned much from him myself, and enjoy frequent conversations where we discuss techniques and development projects. "Watching Joe Gillotti grow at HostDime from our entry level Server Analyst position into his role as a System Integration Engineer was a true honor and pleasure. Joe is a fantastically talented, impressively gifted individual in the field of Information Technology and has the ability to think "out of the box" when it comes to integrating solutions for complex problems and tasks. He is also an incredibly personable and friendly person, always willing to work to help others understand concepts and break them down in more simplified forms. It is for all of the reasons above that I would strongly recommend Joe for any and all engagements." "Thank you, Susana of Write Way Designs, for writing my Resume, as my English is not too good. I am happy that you are bilingual and could understand me, my career experiences, and the job I was targeting. I am happy to be employed!" "Thanks to the Write Way Designs Technical Writers for excellent editorial feedback. The report reads much smoother with your changes, and the layout (e.g., of the tables) is much better. On some of the items you corrected (like the tenses in some places), I knew it didn't sound right but I didn't really know how to correct it. Your writing expertise was a big help." "At HostDime, Joe Gillotti has been a wonderful person to work with. He is easy to communicate with, and always ensures he understands an issue completely before giving input. In my time working with him, I have found Joe is happy to relate his extensive knowledge of Linux Systems and other technologies. I have learned much from him myself, and enjoy frequent conversations where we discuss techniques and development projects. Joe works very hard, and enjoys what he does. It has truly been a pleasure to work with him professionally." "Jue Lutz, our e-Business Analyst, is a rock star! She's a smart, motivated numbers whiz who does more in a day than many people do in a week. On numerous occasions, I ask for data and she returns what I need, as well as other helpful information I didn't think to request, within minutes. She's a great communicator and an upbeat, good-humored and easygoing team player." "Jue Zou Lutz's produced stellar results for, among others, Kraft, Smirnoff, AAA National, and Weber Shandwick. Even while a student, she saved many small businesses while increasing revenue for larger ones. I recommend her wholeheartedly. If you have a problem, Jue Lutz has a solution." "JHT hired Brian Lutz to perform 80 hours of work to deliver two songs for our video game, letting him know that anything exceeding 80 hours was not billable. Brian, however, was flexible enough to create a third song for us, which I offered a little extra money for out of contract and out of pocket. I was impressed with Brian's flexibility and patience, and how he listened carefully to his customer to ensure he delivered precisely what we wanted, even though we changed our minds throughout the process. Brian was a man of his word, dedicated to fixing the song after I stated I didn't agree to some of the changes we had originally envisioned and requested. 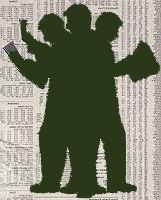 But, Brian's relationship with his client (JHT through me) was to provide a product to our satisfaction, and even though we were out of contract, out of funds, and it was Christmas Eve, he was dedicated enough to make pro-bono final changes to the third song until we were happy with the end result. I thank Brian for his creativity, patience, tenacity, dedication, and excellent customer service, and I apologize for the inconvenience he incurred with the lateness of the final check. I highly recommend Brian for his hard work, flexibility, and professionalism, and I would hire him again." "Our Technical Writing team was, hands down, the best team of professionals that I have worked with during my career, and words CANNOT express my appreciation for Brian Lutz's hard work and efforts. Our proposal was deemed both acceptable and low risk. Unfortunately, we lost due to cost. I regret the loss of the contract, but I look forward to working with Brian again sometime in the future. I will definitely keep Brian in mind for technical writing opportunities. I appreciate the fine work Brian did over the past 3 years and wish him success in his future endeavors. Because of his many talents, I know he will also succeed as a Composer in the Video Games division." "Susana is an excellent Technical Writer, able to reduce technical jargon to clear, concise information and safe, effective procedures. Susana takes immediate ownership of her projects and is careful to keep to the schedules and budgets of each. Each project presents a different set of challenges and she is able to see where her efforts will yield the most benefit and works efficiently toward her goals. She is eager to learn, seeking and accepting any constructive suggestions. Susana is also a source of good ideas, bringing with her the experience of other companies and contracts and has recommended insituting a department style guide and an editing element in our development schedules, which I agree will benefit the department. Susana is technical, but also creative, which lends itself very well for complex and/or less established projects. In the depot text fixture project, she developed one of the first depot-level manuals, which required a different style and process than the organizational-level manuals we routinely produce. She was able to work with the technicians, persuading them to show her their extensive notes, which she worked into clear steps to standardize their test and checkout procedures. She coordinated with Drafting and the Technical Illustrator as well during the efforts to keep track of refinements in the test fixture that were performed at the same time. Susana works diligently to develop postive, helpful relationships with the engineers, technicians, and other IPT members of her projects. She is very diligent in seeking information and guidance on her project work. She is a good listener and proceeds immediately to accomplish her tasks once she has the guidance she needs. 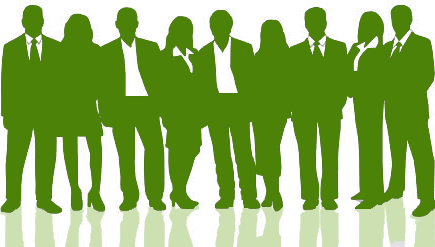 She quickly understands the organization of each project team she joins and is able to identify the relevant persons to answer her questions, which speeds the work considerably. Susana is very successful in working among the various stakeholders of her projects to obtain the information she needs to develop her manuals. She has been commended for her diligent coordination with the hardware and software engineers on her projects. The government equipment specialists have commended her work as well. Susana is very proactive in working with the project engineers in obtaining any information she needs. She asks excellent questions and listens carefully and establishes ongoing dialogues with the engineering group to help ensure she is aware of any developments in either software or hardware as the products mature. She has been successful in working with IPT project members, and her manuals are better for it. While the overall contract did not receive 90% award fee rating, Susana is providing excellent support to projects under her control. There are no cost variances in Susana's projects resulting from anything under her control. She is diligent in managing her budgets. Susana has been an excellent addition to our team." "When I lost a very good job due to the sale of my company, I was devastated. I wondered at my age of 54, and with the economy, how I would ever find employment. I contacted Write Way Designs, and not only did the Certified Professional Resume Writing Team of Susana Rosende and Brian Lutz provide me with a resume that was detailed about my experience and work history, they also reached out to me providing their knowledge and expertise of how to get myself out there to be seen by potential employers, (for example, by posting my profile and resume on Linkedin.com). I was so thankful that they just didn't take their fee after producing my resume, but kept in contact with me giving me support and interview coaching. I did everything that they suggested, and it worked! I am now employed with even a better job than I previously had. Life is good! Thank you, Write Way Designs! You are not just resume writers, but a company that truly cares about their clients." "I was amazed at the quality of the work from Write Way Designs -- the writing, web programming, translation -- all of it. Most of all, I was astounded by the quick turnaround. Are they robots? Do they sleep? Like Magic. As if they have elves working overnight. I would hire this team again." 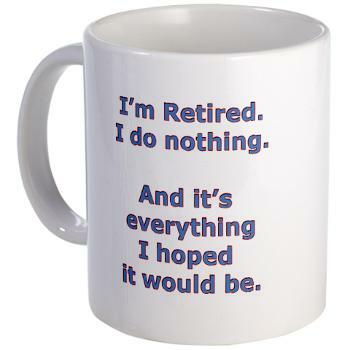 "Thank you so much for the fantastic Retirement T-shirts, mugs, mousepads, magnets, apron, and posters. Too funny! They cracked us up! The Write Way Designs Gift Shop has the best designs! They were a real hit at my dad's retirement party. He loved the baseball cap and matching t-shirt most of all. I may have to buy more, because he's wearing them out!" " Susana! I've posted a few pictures for you!! 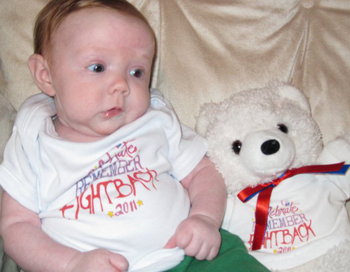 This is my Great Niece Katie Lynne Hall wearing your designed RELAY FOR LIFE T-shirt!!! Just so precious and everyone was so touched!! Thank you for designing such a beautiful keepsake..will be treasured for a lifetime!! I've passed your name to a friend of mine who will be reaching out to you tomorrow. Talk soon!!! Thank you again..you are a true blessing and your donation means the world to me! Thank you also for donating the Teddy Bear. It was so unexpected. Our whole family was so touched. "The Write Way Designs team works together or individually to deliver high quality products on time and under budget. Write Way Designs gets the job done, and gets it done right." "Some people are paycheck collectors. Others truly care about their work, the team, the clients, and the company. It is rare to find an individual with the right balance of creativity, technical expertise, written and verbal communication skills, leadership, teamwork, project management abilities, dedication, loyalty, and integrity, but Susana Rosende has it all. She is truly a diamond in the rough. If the opportunity presented itself, I would hire her in a New York minute." "When you first meet Susana Rosende, your first impression is she's a soft-spoken, nice lady -- maybe too nice for some of the rough-around-the-edges folks on the team. But, when you work with her, you learn she is knowledgeable, hard-working, and gets the job done. She's not afraid to get her hands dirty and to learn new skills. Additionally, she gets along with all levels of the organization, and even the tough guys like and respect her. I worked with Susana Rosende on several projects. She excelled at project and content management and was a pleasure to work with. Her work ethic is inspiring." "Though still a student, Joe Gillotti could program upside-down, with his hands tied behind his back, and in his sleep! This wonder kid is amazing, and I say "kid" with all due respect. Not bad with hardware, either. Still using the desktop he built me five years ago. Computer Geeks will rule the world! Hire him. You won't be sorry." "Joe Gillotti has taken three years of Web Design and two years of Networking and has exceeded my expectations as a student every time. He even taught me some new skills! Joe is incredible with computers. He knows hardware and can set up networks and servers. He knows software and has taught himself programming. He makes awesome websites! He is so good, that one day you're going to read about him! I have awarded Joe Gillotti the Winter Park High School Award for Senior of the Year because of his amazing computer skills!" "Susana Rosende and I worked together at John H. Harland Corporation in both Orlando and Tampa, Florida. Susana demonstrated strong writing and graphical skills, creativity, resourcefulness, dedication, and patience in a very stressful and volatile environment of merging companies, restructuring, and layoffs. Nothing stops her. Susana is tenacious with a capital T!" "I met Jue Zou during graduate school at the Florida State University where she and I studied Integrated Marketing and Communications together for about two years. As a colleague, Ms. Zou (now Mrs. Lutz!) displayed impeccable timeliness, good judgment, and a very thorough work ethic. Her ability to manage projects within various size groups is admirable, and she was always willing to devote extra time that was needed in order to make our marketing projects, presentations, and papers excel. On top of Jue's intelligence and professionalism, she has an extremely likeable demeanor that encourages productive collaborations and discussions. I have the utmost respect for Jue Zou Lutz and say with confidence that she is a key asset to any team." "Jue Lutz gets the job done. She makes the impossible possible through sheer determination. You want Jue on your team." "It was a pleasure to work with Susana Rosende for over a decade at Attorneys' Title Insurance Fund, Inc. Susana is very team oriented, has integrity, and treats others with respect. She is innovative, creative, and detail-oriented. She is amiable, hard working, and has a great personality. Susana truly cares about her coworkers and her work. She works well under pressure, and always goes the extra mile for customers. But, what impresses me the most about Susana is her determination to get the job done, no matter what it takes, while juggling single motherhood, and NEVER stepping on people in the process. She takes an interest in her co-workers, teams, customers, and the people she manages. She truly cares about people, and that's what makes it so easy to work with her. Everyone wants to be on her team. I hope I get the opportunity to work with her again." "I worked with Susana Rosende for many years on various projects. It was always a pleasure to work with her. Being a techie, I tend to speak more in technical language, but amazingly, Susana always understood the technical complexities and the functionalities of the software components, and then documented them in an effective manner. Susana has written some of the best documentation I have seen in my professional career, and I highly recommend her." "Over the past years, I had the opportunity to work with Susana Rosende. It was great pleasure to work with her. She is very dedicated, creative, and detail orientated in her work. Being under pressure of time does not seem to affect her ability to produce great end results. She is an excellent asset to any organization she works for. I strongly recommend her." "It has been a pleasure working with Jue Lutz. I felt I really learned a lot while reporting to her. Jue's organization, knowledge, and ability to follow-thru on a task or directive makes her ideal for marketing management. Even in difficult circumstances, she is ready with a smile and to go the extra mile. Her management was invaluable at our e-commerce organization." "Jue Lutz was extremely organized and innovative with a good balance of project management and technical skills. Jue always maintained a good attitude no matter what. She is the consummate professional. She would be an asset to any company, and I would highly recommend her for any challenging and rewarding position that will enable her to lead a marketing team or division to the success of the new organization." "Susana Rosende worked with me in the Information Services Division at Attorneys' Title Insurance Fund (The Fund) in Orlando, Florida for the past nine years (from 1999 to 2008). I utilized her skills and expertise as a Senior Technical Writer at The Fund in day to day issues, as a Project Team Member/Technical Publications Supervisor in the technical projects that I managed, and also within the CMMI and ITIL implementations that I was involved in. Susana not only wrote technical documentation, she proofread, edited and provided illustrations for my documentation. She provided timely and accurate documentation, creative illustrations for manuals, posters, project status announcements and newsletters. She was also very active in the corporate fund raisers, annual employee team building activities and off-site trade shows, creating a variety of just-in-time customer flyers, displays and other documentation as needed. She is a wonderful employee, dedicated to getting the job done. She is resourceful, hard working, creative, and a quick learner on new technologies. She's artistic, and I've requested illustrations specific to projects I was working and she produced illustrations without any direction. I also utilized Susana on a freelance basis through Write Way Designs for writing, editing, illustration, logo, and website design, and was again very pleased with her work. I highly recommend Susana for any employer or future client of Write Way Designs." "Brian Lutz is a very talented young man with a bright future. He is a powerful technical writer, copywriter, content strategist, and editor. We were pleased with the online help he created for our software products, the content he created for our website, as well as with the music he composed and script he wrote for our training video and video games division. At a startup, everyone wears many hats, but Brian could wear them all. Writing, music, technology, he did whatever was needed, and exceeded our expectations every time." "I worked with Susana Maria Rosende at Attorneys' Title Insurance Fund from August 1997 until July 1999. During my time at The Fund, I had the pleasure of working closely with Susana on software documentation, online help, newsletters, and other projects done by the Technical Publications department. I found Susana to be a strong technical writer and editor. She quickly learned our style guidelines and became an important contributor to the department. Her writing and editing skills, combined with her strong work ethic, made her invaluable to our group and to the business as a whole. I would strongly recommend her for writing and editing positions. Given her additional graphic arts, Dreamweaver, HTML, and CSS skills, Susana would also be an excellent candidate for Web designer, graphic designer, and website content strategist positions. Last, but not least, her English/Spanish bilingual skills make her an asset for technical translation and interpretation jobs." "Jue Zou was a student in my Communication Career Futures graduate class. Miss Zou was proactive in learning the various course concepts and in making contacts with communication professionals--a part of her class requirements. She writes very well, is fully bilingual, and actively engages with other students, her teachers, and professionals in the field." "Jue Zou Lutz is responsible and extremely dedicated. At Weber Shandwick, Jue always did an excellent job of the tasks she was assigned. It was a true pleasure having her as part of the team." "Susana Maria Rosende of Write Way Designs helped me with my resume during my senior year at UCF. I really enjoyed working with Susana. She bends over backward for her clients. She is generous with her time and works with your schedule and budget. I can't say enough good things about Susana. She is a very sweet lady. I felt she truly cared about me and my success. I highly recommend her!" "I had the pleasure of working with Susana Maria Rosende for the eight years I was employed by Attorneys' Title Insurance Fund. She was a co-worker for a short while until her well-deserved promotion to Technical Publications Supervisor, and then I reported to her directly. She is highly driven and was always seeking ways to improve our department and to motivate the team to keep up our skills. I really enjoyed working for Susana and was always very impressed by her many talents. Susana is an excellent technical and creative writer, researcher, leader, manager, artist, cartoonist and mentor. Her communication skills, upbeat personality, and positive energy would benefit any organization or client she chooses to work for." "I worked with Susana Rosende while contracting at Attorneys' Title Insurance Fund in Orlando, FL from June 2005 through March of 2008. Susana was in a Technical Publication Supervisory role while I was a Senior Quality Assurance Analyst with both of us reporting to the same manager. Susana impressed me with her attentiveness, work ethic, and spirit of cooperation. She was intelligent and motivated and more than capable of managing people. And, she was always very positive in her outlook and conduct. I thoroughly enjoyed working with her and believe she would make an excellent choice for any prospective employer or client." "Susana Rosende is a top notch technical writer who is very detailed orientated. Always considers the potential audience when developing documentation. Excellent people skills, great personality and is always looking out for the little guy/gal. Very motivated and extremely creative. I highly recommend her!!" "Susana Maria Rosende has a respectful attitude about her work and her team. She is always willing to share her ideas and knowledge with others and to take the time to listen to the opinions and concerns of others, too. She is very delightful to be around." "Susana Rosende is a dedicated, committed, hard working professional. She has the personality and skills to be a valuable asset to any organization." "Susana Rosende is honest, kind, and a true team player and leader. She has the best work ethic and cares about people. Susana is an asset to any organization. I would be happy to work with her again." "I am very happy to give a positive recommendation for Susana Maria Rosende of Write Way Designs. Susana has been writing mortgage and real estate articles for me as a remote consultant over the last seven years. Her writing has always been professional, interesting, and on-target." "Whether she had to pick a topic or I assigned one for her to research, she always came through. She has also shown a lot of flexibility by being able to translate our content to Spanish. Her translations have been excellent." Web Designers of Orlando, Inc.
"Susana Rosende has written technical manuals for our software products. She works to thoroughly understand the system before writing, and her style is concise and well-written. Susana has also written and illustrated for a company newsletter. She is creative in her efforts, always willing to learn, and I recommend her." "Susana Rosende is detailed oriented and does great work. Her top qualities are: Great Results, Personable, and High Integrity." "Susana Rosende is a dependable and hardworking person with excellent research and writing skills. She is also highly personable and a pleasure to work with. I was happy to have her on our team. I strongly recommend her." "Susana Maria Rosende was a student in several of my technical communication courses almost two decades ago! We've kept in touch over the years. Susana has excellent writing and editing skills as well as excellent interpersonal skills. She can be relied on to meet deadlines and to deliver a quality product. I highly recommend her." "Susana Maria Rosende is a professional. When documenting a new software program or encountering change she makes the appropriate inquiries to confirm a well-rounded understanding so she can assist others with the documentation generated to support those programs or changes. Susana is also a creative and accomplished artist. I have viewed her drawings around the office and have come across them being used in company publications." "Before I left the state for another position, I was Susana Rosende's supervisor at Attorneys' Title Insurance Fund. Susana is a thorough, accomplished designer and technical writer, willing to take on any assignment, no matter how complex or varied, with enthusiasm and professionalism." Thank you for visiting Write Way Designs. Please know that the contents of this website are Copyright 1997-2013 Write Way Designs, writewaydesigns.com, - all rights reserved and protected by International Law. Any unauthorized reproduction or imitation of these pages may be in violation of this copyright. You may not make alterations or additions to the material on this site. Material may be downloaded or copied for personal use only. If your business, school, newsletter, or charity would like to use any content or information from this website, please contact us for permission at susana@writewaydesigns.com or 407-670-9554 and 321-200-0073.